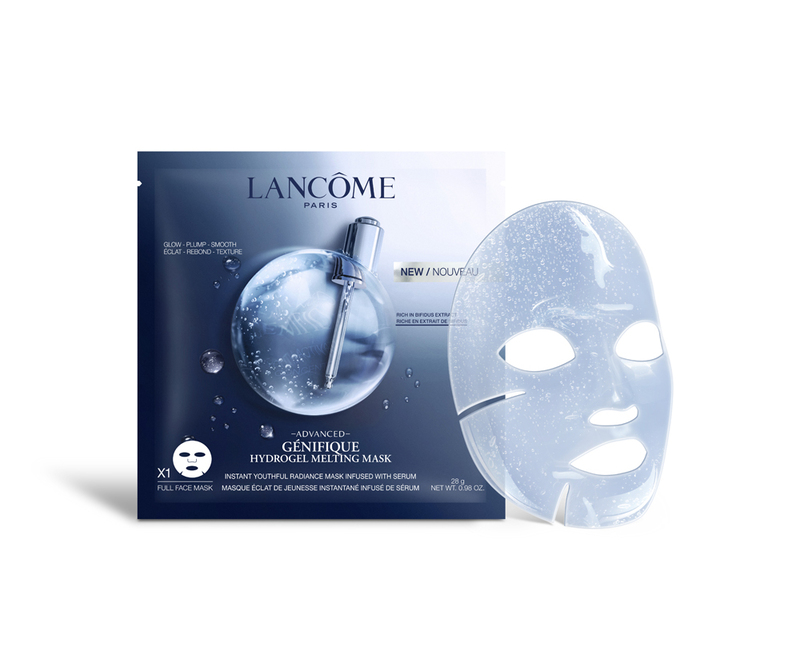 Lancôme Advanced Génifique Hydrogel Melting Mask is a sheet mask that helps skin appear visibly smoother, younger looking and plumped. It contains the same amount of bifidus extracts as a whole bottle of Advanced Génifique and has precious probiotic extracts. This is a lovely mask, it's a hydrogel mask so it fits smoothly over my face. Unfortunately the area between the eyes is far too wide so the mask creeps into my eyes, it's so strange I've tried so many different masks and have never had this problem before. So it's not the most comfortable. And it folds around my chin and jaw but keeps popping back down so that's annoying. Besides the strange fit, it has a strong fragrance. A floral perfumed scent which lingers as the mask stay on your face. It says to leave on up to 30 mins but by then it feels a little dried out so I remove at 20 mins. My face feels and looks clearer and smoother. It's not anything more impressive than just using the Genefique serum. I still apply a moisturiser afterwards, whereas with other masks I've tried my face is so hydrated I don't need anything afterwards. The Lancome Genifique Melting Mask comes in a blue and white plastic sachet with perforated tears at each side. One sachet contains 28g of product. There is two clear plastic backings that protect the mask itself. One of the plastic backings is large and the size of the mask itself, the other is smaller and half the size of the mask to make unfolding and seperating the mask easier. The mask itself is white and quite thin, it is easy to unfold and quite wet from the serum. There is a slight perfumed scent to the mask which is pleasant and inoffensive. The mask is easy to apply, it fits onto the face quite well and will not budge after application. It moulds onto the face comfortably and will not slide off. After all of the serum on the sheet is absorbed into the skin the mask dries and is ready to be peeled off (after thirty minutes or so). The serum inside the sachet is clear and very runny; there is quite a bit of serum remaining after applying the mask. Enough for a very generous full face application. The serum absorbs very quickly and does not leave any sort of film or residue on the skin. I quite enjoyed using this mask although it is quite expensive especially for a singular use face mask. It is definitely worth it though, this mask definitely delivers in terms of boosting moisture. I found the mask to fit my face well, with the exception of the bridge and tip of my nose all other areas of my face were covered. I liked how comfortable the mask was to wear; it fits snugly to the face and does not feel like it is going to slip off after applying. There is a very generous amount of serum leftover inside the sachet; there is enough for two applications of the serum after using the mask. I loved the way this mask felt on the skin, it feels very hydrating and refreshing. After removing the mask and massaging in the remaining serum my skin felt so soft and moisturised. The following morning after using my skintone did look somewhat brighter, noticeably more radiant.  I enjoyed using this mask although it is quite expensive for a singular use application. It does however deliver in it's claims of boosting moisture and plumping the skin so while I would not purchase frequently I would definitely buy again for use on special occassions. Leave on for 30 minutes, massage in remaining serum after removal of the mask. I didn't want to love this mask, mostly because it's pricey and I didn't want to want it, but I do love this mask and my bank account is very sad about that. It is such a beautiful mask! The material is a gel like material that fits on your face so well! I find that a lot of gel sheet masks fall or slide off my face, however this one doesn't. It sit and stays on perfectly. As the serum moves from the mask into your face the sheet mask dries out (which I love, because it actually feels like the serum is going into my skin, not just sitting on the mask and staying there. After I removed the mask, my skin felt SO hydrated and soft and stayed like that for a few days. The texture of my skin felt so much smooth and supple after wearing the mask too (HUGE WIN!) Plus there was lots of left over serum in the packet to apply to your face and neck afterwards. I am in love with this mask. It is like the Genifique serum but on steroids - all the benefits of the serum but in an intense burst. It would be perfect for when your skin is feeling and looking flat or dry. Dry, flat and dull skin. We don’t think this trend is going anywhere.